gel on one end and a slanted retractable pencil on the other. It was definitely a travel friendly product. I find that the packaging look quite sturdy though it easily gets dirty due to its light green color. and brow gel combined in one. you can now conclude that I absolutely love this brow gel. looks really pigmented on the tube. it is just a brow gel, a brow gel that keeps my brows in Perfectly in Place. adds up to the longevity of the product. hard texture, it is very easy to work with. I do not need to set it with powder because it stays put. 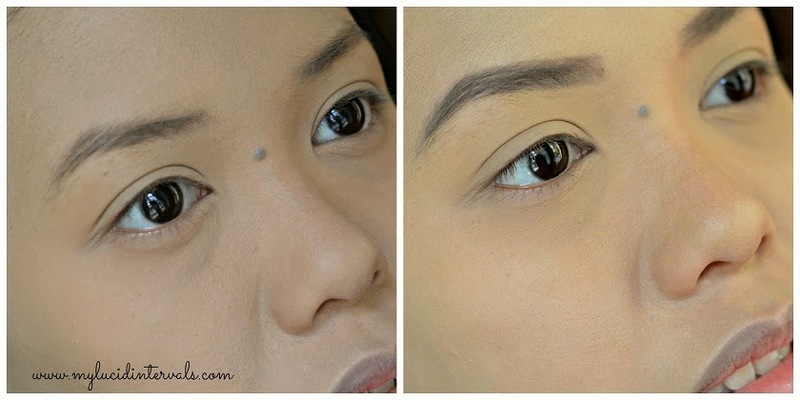 From light feathery strokes to a heavy gigil hand, it creates the most natural looking brow for me. put powder on it. At the end of the day, I would still prefer my Ever Bilena Brow Pencil over this one. This is good for filing in the brows but not for outlining because I find the color too light for my liking. Here are the swatches on my hands. You’ll see how light both products are. Btw, I got the shade Medium Brown. The Pencil looks like a brownish taupe. What do you think? Is it a yay or nay? This brow duo costs 890 pesos. PIXI products can be bought at https://glamourbox.ph and at Snoe Stalls/branches. ok naman sya a... bagay lang coz you dyed your hair... :D what eyebrow product can you recommend for super black hair? Hi, This Eyebrow dup looks good on you, I would love to try it out if I could. Looks good and natural - would love to try this one next time too. these brow duo looks good on you. same ng color of your hair.